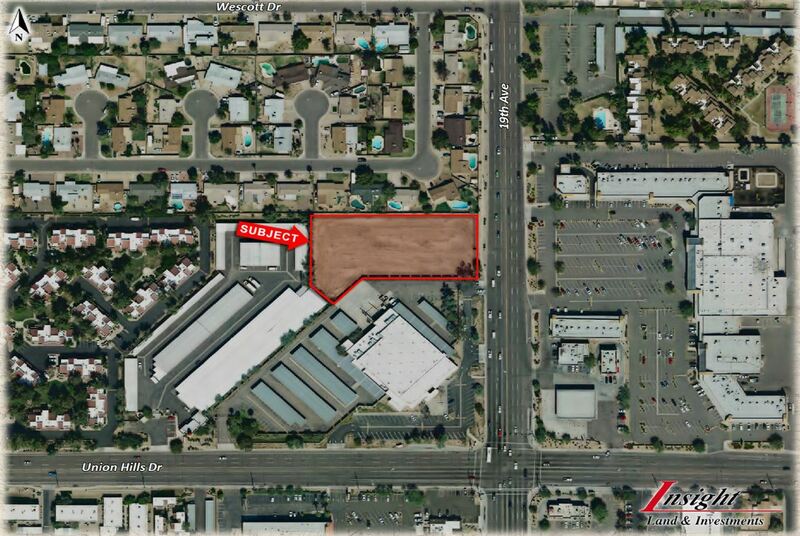 Property offers a great North Phoenix location just off the corner of 19th Avenue and Union Hills. Property has great access to both I-17 (via Union Hills) and Loop-101 (via 19th Avenue). Located within 2 miles of the Deer Valley Airpark; one of the largest employment centers in all of Maricopa County. Major amenities and services in the immediate area which include Deer Valley Town Center, John C Lincoln Hospital, and Deer Valley Airport.